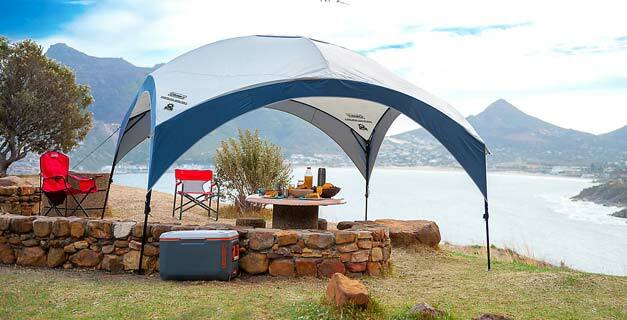 Only with Coleman’s FastPitch™ Shelters can you start your party in less than 5 minutes! With 99.9% UV protection (up to 7x more protection than other shelters), our shelters also reduce the temperature by 2.5°C thanks to a silver coating on the inner fabric and sunwalls. The shelters have four rectractable legs to quickly adjust the height and securely stabilize the shelter. Removable sunwalls and doors are also available as an additional accessory.